This Website Is No Longer Active. 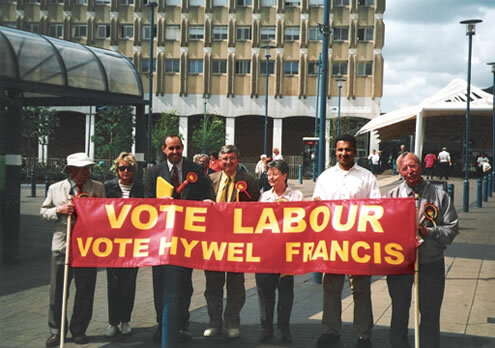 : So who has paid for Hywel Francis new "Election Website ?" So who has paid for Hywel Francis new "Election Website ?" Below is a copy of my email to Hywel Francis that was sent earlier this evening. I do not expect a reply. I note with great interest that you have recently set up a new website to help you try and retain your seat as the MP for Aberavon. Although I am not an expert in these matters the layout appears to be almost identical to your current parliamentary website. Am I wrong ? Have you set up this new website on your parliamentary expenses ? May I remind you of the following taken from the Western Mail. In 2007, you claimed £1,250 against your office costs allowance for creating a new website and paid £200 to Cilfrew company Wired Up Wales for updating the site with surgery dates and press releases. .In 2006, you paid £60 for website updates as well as £90 in hosting fees and registration costs. Perhaps you would like to look at my own little website http://www.cllrkevinedwards.blogspot.com/ . It has cost me nothing to set up this site apart from hard work and my own personal time in updating it. 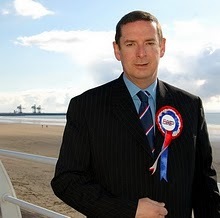 Please therefore advise if your new election website is to be paid for by yourself or the long suffering electorate of the Aberavon Constituency who have suffered tremendous hardship over the last 13 years of your incompetent,corrupt and inept New Labour Government.
" Justice for Linda Lewis." Hello Kevin i have received his election leaflet very expensive looking! Kevin he has moved the air monitoring station because the levels broke the regulation limit and moved to a new location and start from ZERO. Kevin this man is corrupt and flauting the laws in Port Talbot, His buddies are managers of the Steel works so how can he tell them to clean their act up! Running with the wolves as it's known up here in Baglan. Please paste his website link on here so that we can email him. I wonder how many other child kidnappings by the state is he covering up for. I believe, we will all pay a much higher price, if this Marxist slimes his way back in. His caring sounding title of "Dr" is a sick joke. Based on an earlier time when our people were conned into throwing away their lives for Marxism. Hopefully, our people are now aware of these facts and will vote accordingly. For me the most agonising thing is that people will still vote for them in South Wales ! Over 90 per cent of all jobs created by Labour have gone to foreigners. Labour have sent other peoples sons to fight and die in illegal wars; but never their own. Labour have lied to the working class, but have enriched the middle class. We have all been betrayed by Labour. It makes me mad that Welsh working class people still vote Labour, it really does !